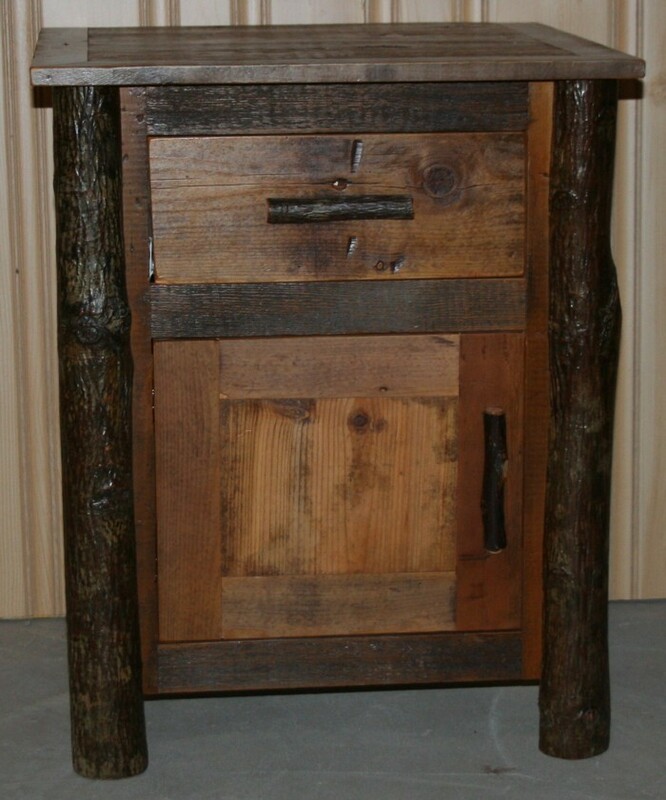 Barnwood Hickory Log Night Stand made from 100 year old reclaimed barnwood and hickory logs with bark left on. This bedroom furniture is made from beautiful hickory logs combined with the rich tones of reclaimed barn wood to create the perfect rustic style. We also make matching dressers in all sizes from this wood combination. If you are looking for something unique for your rustic bedroom space, this style of furniture may be an excellent option for your room! Every piece of furniture is able to be custom built with many different stain options available, although we think the barnwood patina, which is more natural, is the most appealing.